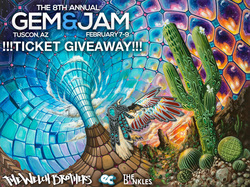 We're super excited to be heading back to AZ for the 8th annual Gem and Jam festival! We just got done doing some Q and A with our friends over at The Dankles and have teamed up with them and Euphonic Conceptions to give you a chance to win a 3 day pass to the Festival next weekend! Hope to see you all in Arizona! 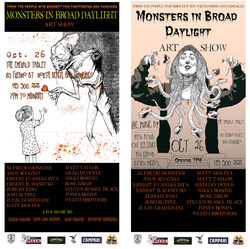 We've been working night and day in preparation for our solo show in South Lake at the end of this Month. If you are in the area, we hope you can come check it out. The show will be up for a full month so even if you can't make it to the opening you'll still have a chance to see the pieces in person. 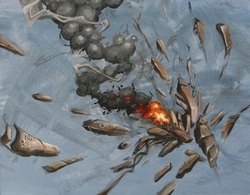 Here's one of our pieces that we created for a group show this Weekend in SF at Lower Branch! We're looking forward to showing our work alongside 23 artists from the Lower Branch Family and we've created two pieces specifically for the show. If you're in the area come say hello! The Show is Friday December 13th from 6PM to 11PM and the address is 233 Eddy St. 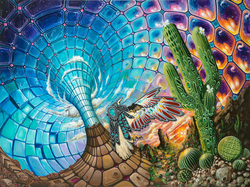 Excited about this upcoming show with Chillin' Productions at 111 Minna in SF! 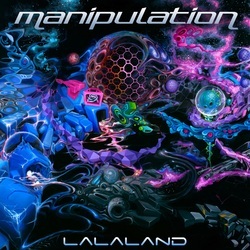 Our painting "Birth Of Athena" is now the cover of manipulatioN's new EP "LaLaLand". 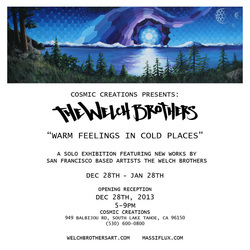 We're getting super excited for our upcoming group show opening in San Francisco this Month. If you are in the area, please stop by and say hi. If you can't make the reception, please check The Emerald Tablet while you're exploring North Beach.